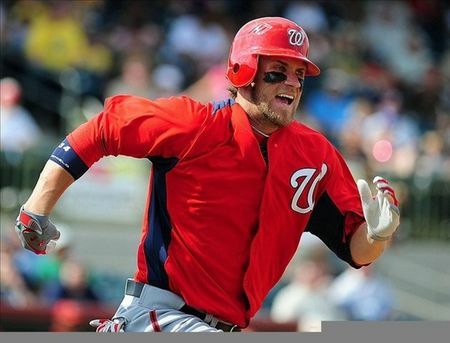 Today the Nationals called up their top prospect (probably the most hyped prospect in the baseball history) 19-year old Bryce Harper. 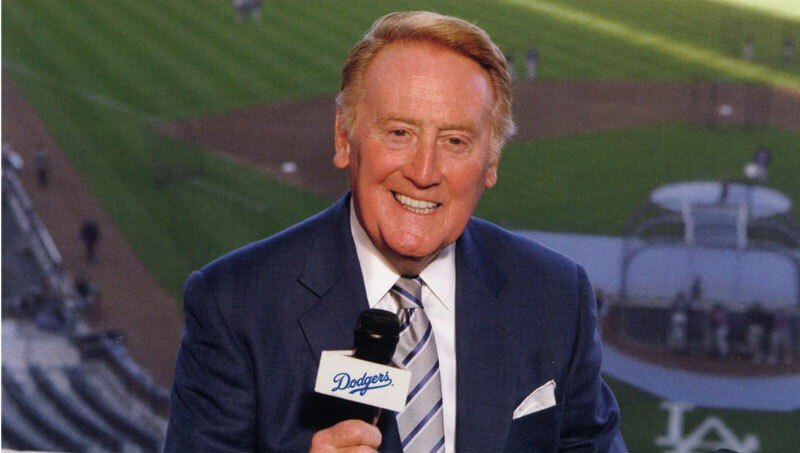 He will make his much-anticipated MLB debut tonight against the Dodgers and Hall of Famer Vin Scully will be behind the mic to document this moment in baseball history – just like he has for the past 62 years. Vin joined the Dodgers in 1950 – one year after graduating from Fordham University. His longevity and love of baseball are unmatched. He has called some of the games greatest moments by its greatest players and today it is only fitting that Vin have the opportunity to call Harper’s first major league game. 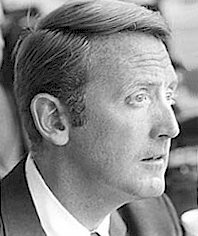 Who knows what Harper will become, but at least for tonight, Vin Scully can put it all in perspective for us and compare Harper to those that came before him – those that Vin witnessed first hand. Don Dreysdale, Jackie Robinson, Sandy Koufax, Duke Snider, Bob Gibson, Reggie Jackson, Roberto Clemente, Mickey Mantle, Joe DiMaggio, Barry Bonds, Ken Griffey Jr. and now Matt Kemp, Clayton Kershaw, and Albert Pujols. The list can go on and on – he has seen and called it all. Perfect games, world series and even the combination of those when he called Don Larsen’s perfect game in the World Series. He’s a living legend whose calls are remembered and replayed often – entire innings he has called have been transcribed and studied because of their brilliance. You couldn’t have written the 9th inning to Sandy Koufax’s perfect game in 1965 better than Vin called it if you had all the time in the world – and he did on the spot. Saturday he will see the next phenom and you know he will deliver a memorable description of that first at bat. I wasn’t alive then but I get goosebumps whenever I see that play and hear that call. Can’t wait for Vin to make more memorable calls – not just tonight with Harper but all season with a Dodgers team that looks like it’s capable of making 2012 a memorable year for Vin Scully. They say you never know what you’re going to see when you go to the ballpark. Friday was a perfect example of this sentiment. 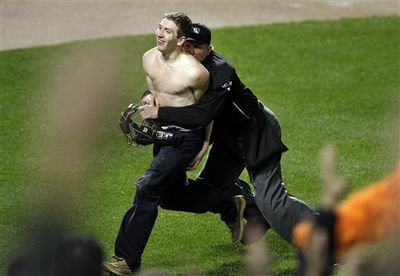 InBaltimore, a fan ran on the field (not that abnormal but not exactly a daily occurrence) during the 7th inning stretch. The shirtless daredevil ran through the outfield and towards third base, rounded third and slid safely into home. No security was even close. (How do you have enough time to slide head first and get back up and continue running?) So the home plate umpire took matters into his own hands and form tackled the fan. I set up shop to watch the Mets open up a 3-game series with theRockiesat Coors Field. New Yorkhad just swept the Marlins on the heels of some great pitching and timely hitting so I was looking forward to watching them go for 4 in-a-row. I wasn’t expecting what would follow – which was one of the most unpredictable games I have ever seen. It started in the 1st inning and I should have known right then that this would be a game unlike any other I had seen before. With runners on 1st and 3rd and 2 out, Rockies starter Drew Pomeranz threw over to 1st and caught David Wright taking off to steal 2nd. Wright was picked off but managed to get into a rundown and stayed in that rundown long enough for Nieuwenhuis to score from 3rd before Wright was tagged out. Mets had a 1-0 lead. The Rockies answered with 2 runs in the bottom of the 1st off Mets starter Chris Schwinden. Schwinden was starting in place of Mike Pelfrey who is scheduled for Tommy John surgery and is done for the season. Rockieslead 2-1 after an inning and all was normal. Scott Hairston homered in the 4th to tie the game at 2. Then the 5th inning happened. 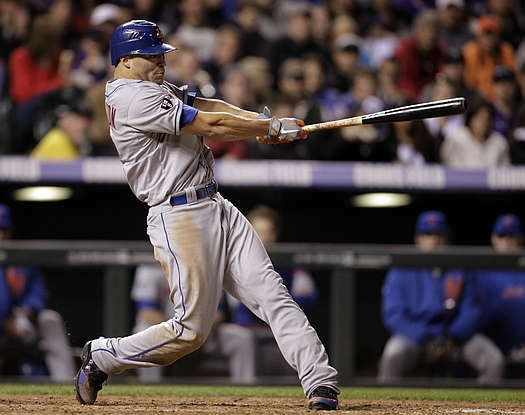 The Mets got 4 in the top of the 5th with 5 straight 2-out hits including an RBI triple from Scott Hairston. I was extremely pleased and thinking to myself – I don’t know if I’ve ever seen the Mets get 5 straight 2-out hits. Even Gary Cohen said “When it rains, it pours.” Little did he know how prophetic that statement really was. At the midway point in the game, I thought we were sitting pretty and in the clear to pick up our 4th win in a row. Then in vintage Coors Field fashion,Coloradoexploded for an 11-run 5th inning. Carlos Gonzalez was 2-for-2 with a HR and 5 RBI in the inning. (Impressive but a far cry from the feat accomplished by Fernando Tatis when he hit 2 grand slams in one inning). If when it rains, it pours, this was a never-ending deluge. Hit after hit after hit after hit and the on top ofColorado’s hot bats, the Mets committed 4 errors in the inning. One of those errors was the result of another very strange play. On one of their many hits in that inning, the third base coach waved home a baserunner who had no business trying to score. The Mets had already had the ball to the cut off man (Zach Lutz at 1st) and the runner even knew he was a dead duck so he stopped 3/4 of the way down the third base line. Lutz tried to throw it home and set up a rundown to get that runner out but he made an errant throw (from about halfway down the first base line to home) and the ball got away from Nickeas and the runner scored. So, even when the runner knew the third base coach had made a mistake sending him and he had no chance of scoring, he ends up scoring. Obviously the Rockies won the game (18-9 final score) and an 11-run inning, 4-error inning, 5 straight 2-out hits, run scored during a rundown, run scored that should never scored and a 5 RBI inning for one player should have filled the uniqueness quota for this game. But that was just the beginning. Earlier in the game a Scott Hairston was hit by a batted ball and therefore ruled out. This isn’t that uncommon but usually when a batted ball hits a baserunner, it is smoked and he has no time to react. Scott Hairston basically ran into a slow ground ball after he took off on a hit and run. Later, there was a catchers interference ruling when a Rockiesplayer swung at a pitch out. Let me repeat that – swung at a pitch out. The Mets were purposely throwing a ball to try and get a better chance to throw out a base stealer and the batter (who presumably was trying to execute a hit and run) swung at the ‘intentional’ ball and hit the catcher’s glove. Therefore, the batter was awarded 1st base and the base stealer was awarded 2nd. A stupid play (swinging at a pitch out) resulted in a reward – just like it did when theRockies sent the runner from third when they shouldn’t have and he ended up scoring. Definitely have never seen that before. And oh yeah, speaking of Scott Hairston… he hit for the cycle in the game as well. He was the tenth Met to hit for the cycle and 1st since Jose Reyes in ’06. Not only did he hit for the cycle, but he did it in 4 consecutive at bats all before the 6th inning. He was even taken out of the game later on, so he didn’t even get to finish a game in which he hit for the cycle. Just a bizarre night in Colorado all around and I could not have predicted a single thing that happened. Even though the Mets lost and watching that 5th inning (15 runs scored combined) was pretty brutal, it was one of the more enjoyable games that I’ve seen in a while. I have been excited about HBO’s new show Girls for months leading up to it’s premiere and I enjoyed the first episode on Sunday. What I didn’t expect was the show to be such a topic of conversation and controversy in the cultural zeitgeist. I have always admired those who take pretty much complete control of their creation – like Louis C.K. who wrote, directed, starred in and even edited Louie on FX. 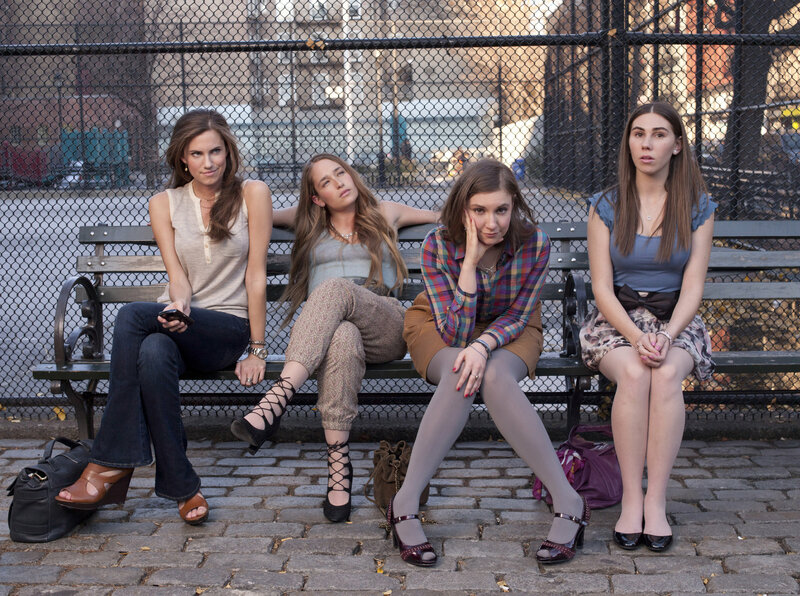 So that is what drew me to Lena Dunham and Girls. That and the fact that the plot involved somewhat broke twenty-somethings trying to survive after college. The majority of reviews for the show have definitely been positive but it seems as if some people have serious gripes with the show. 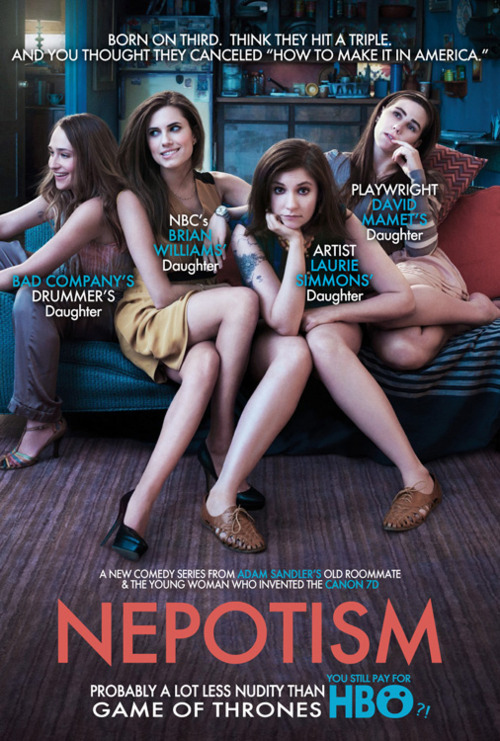 These include the show’s lack of diversity, the fact that the 4 leads of the show all have famous relatives and even some are complaining that it is hard to sympathize with the characters because they are over-privileged (a truth that the show is very self-aware of and even uses to help develop the characters). People are entitled to their opinions, but it seems as if these criticisms are magnified because the show was created by and stars females. Why, every time a girl is behind a show or a movie, does it have to represent the entire gender? People need to stop projecting their gender issues on people like Kristin Wiig and now Lena Dunham. Bridesmaids was a really funny movie that got so much extra attention, both negative and positive, just because a female created it. Girls is going under that same microscope now. Bridesmaids was a really funny movie and Girls is a good show so far (at least the pilot was). End of story. I almost feel bad for Dunham a little but then I remember that all this attention is exactly what she wants and will keep her show relevant for years. Not to mention, she has gotten a ton of positive reviews and accolades so there is plenty to be excited about for the 25 year old. I hope that we as a culture can just move past the fact that a female has created, written and starred in a comedy and just take it for what it is. It is an accomplishment for anyone to write and star in a show and it’s not like men who do the same suddenly feel they must represent their entire gender. Someday, reviews of shows like Girls will just be normal reviews – without the writer feeling it is mandatory to include the caveat that it was written by and stars a girl. There has been a lot of “extra-curricular” activities after the whistles in all of the 1st round match ups of the Stanley Cup Playoffs and Rangers/Senators is no exception. Just watching 30 seconds of Game 3 and you can tell how much these 2 teams dislike each other. Throw on top of that the controversial suspensions and we are in for a heated next 3-5 games. Hopefully King Henrik can lead us to victory. Whoa. The future is going to be a crazy place, right? The present is a crazy place. I certainly have never thought about imagination quite like that. Some pretty captivating rambling right there. Jason Silva is a filmmaker and futurist according to his Wikipedia. He works at Current TV and recently has created short vignettes on the human condition. Check them out here for his take on some large, usually daunting topics such as love, beauty and ecstasy. 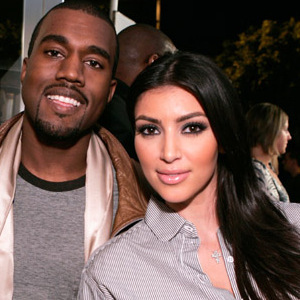 How can anyone believe (or care) that Kim Kardashian has started a relationship with Kanye West. Don’t get me wrong, I have watched my fair share of Keeping up with the Kardashians and Kourtney and Kim take New York and Kourtney and Khloe take Miami and Khloe and Lamar and whatever else E! is churning out. I also am extremely gullible and thought The Hills wasn’t scripted. Turns out the finale of that “reality show” was shot on a Hollywood lot. But even I can see through this. Kanye releases a new single in which he talks about how he has been in love with Kim since she was with Kris Humphries and he’s lucky he didn’t have Jay-Z cut Hump from the team. On the day the song is released, Kim and Kanye are spotted going to a movie and then back to Kanye’s place. Kim then probably called more paparazzi to create a bigger scene for when she was leaving Kanye’s place the following morning, wearing the same clothes she wore the night before. Then later that day they go to lunch at Serafina, obviously wanting to be seen and fuel their dating rumors. Now they have got their wish – the story of them dating is everywhere and they will probably both make millions on this. I wish them all of the best – I really do. But I just can’t believe that anyone out there thinks this is a real romance and not just a publicity stunt that ends up being a good career move for both. The Kardashians and E! really are geniuses for creating soap operas out of their lives and playing it off like everything is 100% real. People enjoy soap operas and the fact that they play it off as real makes it even more intriguing. I don’t hate them for that but there has got to come a point where it just becomes so unbelievable that the public wises up, calls them on it and stops caring. Guess we haven’t crossed that line yet and sometimes I really wonder if we ever will. I love Spring for a lot of reasons. At the top of the list would have to be MLB’s Opening Day. 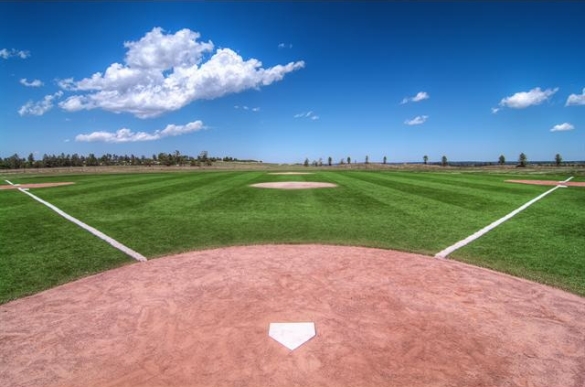 It’s a fresh start for fans and players that coincides with the weather entering it’s most pleasurable time of year. There is a certain innocence to Opening Day and walking into the ballpark for the first time of the season is always unforgettable. Even though the days of one set Opening Day where all 30 teams actually played their 1st game of the season on the same day are gone (2 games have already been played in Japan plus Wednesday nights game between the Marlins and Cardinals, then 7 games on Thursday and 8 more on Friday), the first time your team takes the field is one of the best sports days a fan can have. 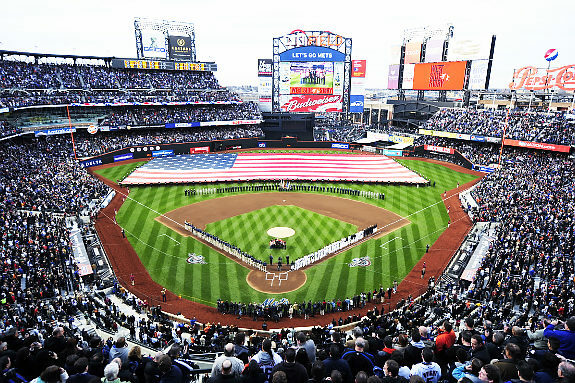 There will be lots to talk about throughout the baseball season, but tomorrow and Friday just sit back and take in the magic of Opening Day – that’s what I’ll be doing.